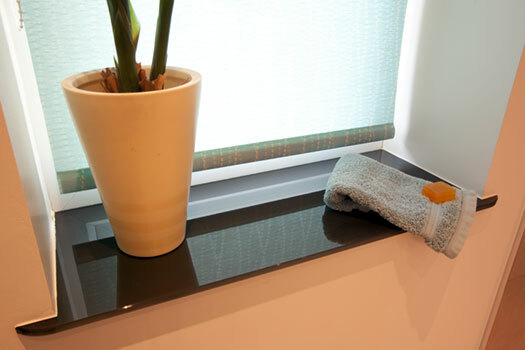 Coloured glass has many uses within the bathroom. It's properties as a surface come to the fore within an environment which demands ease of cleaning and hygiene. Popular as vanity tops, shaping and cut outs in the glass are possible to allow for various basin styles and vanity unit configurations. 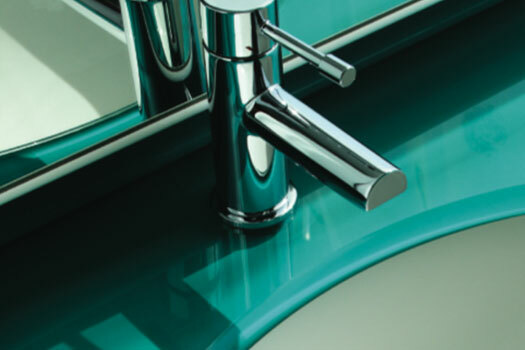 Available in our standard colour ranges and surface finish options of classic and frozen. Common thickness’s include 10 and 19mm. Toughened mirror glass is a perfect solution where extra strength is required for cut outs, tap holes and other fixings. Heated steam free mirrors area a popular addition within domestic and commercial bathrooms.